Cabbage is a pretty popular vegetable among gardeners. It’s also one that knows no ethnic boundaries. For example, Germans and Koreans love fermented cabbage. In Germany, it’s called sauerkraut. In Korea, it’s kimchi. The Irish have a favorite dish, colcannon, which traditional dish of mashed potatoes mixed with boiled cabbage or kale and either bacon or ham. And Cabbage rolls are common to the cuisines In the Middle East and Mediterranean areas, northern and central Europe as well as Iran, West Asia and northern China. If you love cabbage like me, you’ve probably sampled some or all of the above and probably have your own favorite. I have a sweet spot for sauerkraut, and cabbage rolls also appeal to me. 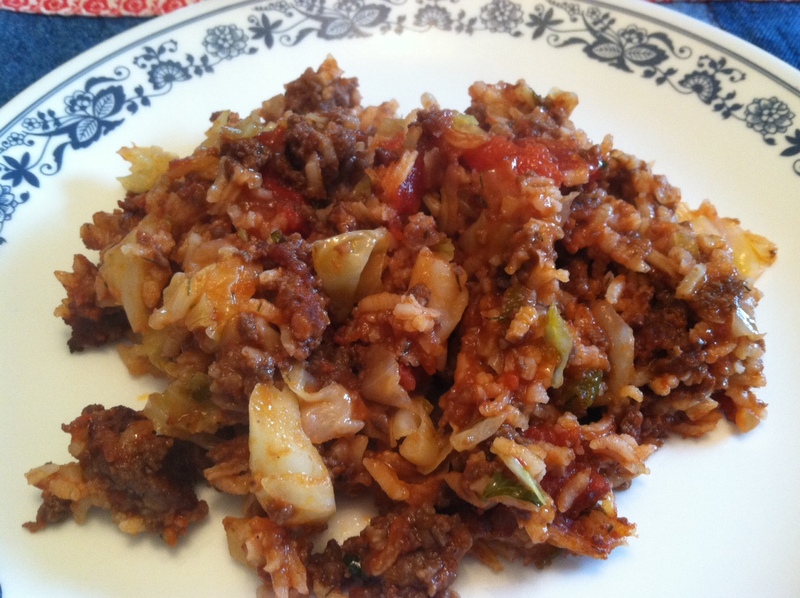 But this week, I’ve discovered a tomato-based cabbage casserole that will give those two favorites a run for their money. It’s a nutritious and economical meal that will easily feed five or six. And being a gardener whose cabbage crop was above average, you can be sure I’ll that the multilayered vegetable packed with nutrients including manganese, magnesium, potassium, riboflavin, thiamin, folate, vitamins A and B6 will make many more appearances at our dinner table. Preheat oven to 350 degrees. Butter a 9-inch-by-13-inch pan. Brown ground beef, ground pork, onion and garlic until no pink remains. Drain any fat. Add tomato sauce, tomato soup, canned tomatoes, tomato paste, dill, parsley and bay leaf. Simmer covered 10 minutes. Remove bay leaf and stir in rice. Meanwhile, heat olive oil over medium heat. Add cabbage and cook until tender crisp. Place half of the cabbage in the pan. Top with half of the beef/rice mixture. Repeat layers ending with beef/rice. Bake uncovered 25 to 30 minutes or until hot and bubbly. TONY J BENDER: That’s Life — How Well Do You Know Current Events?